Editor’s Note: In stories about the trial of former high-ranking gymnastics coach Dave Brubaker, The Canadian Press incorrectly said he pleaded not guilty to one count of sexual assault and one count of invitation to sexual touching. In fact, Brubaker pleaded not guilty to one count of sexual assault and one count of sexual exploitation. SARNIA, Ont. — In a letter written shortly after his arrest, a former gymnastics coach accused of sexually assaulting a young gymnast years ago apologized for “crossing the line” but insisted his actions were not sexually motivated. Dave Brubaker penned the letter to the complainant, now a woman in her 30s, during a videotaped interview with police that was played at his sexual-assault trial in Sarnia, Ont., on Wednesday. The former director of the women’s national gymnastics team has pleaded not guilty to sexual assault and invitation to sexual touching at his judge-alone trial. The charges relate to alleged incidents between 2000 and 2007. In the police interview, Brubaker said people’s expectations and standards of behaviour had changed since the complainant left the sport at age 19. The woman has testified that Brubaker would kiss her on the lips to say hello and goodbye starting when she was 12 years old, and touch her inappropriately during sports massages. Brubaker said he thought he was being a supportive coach and denied any sexual intent. The complainant also said Brubaker would pick her up from school, and take her to his house, where he occasionally would spoon her in bed and tickle her belly, before driving her to practice. Brubaker told the officer he didn’t remember doing that. Brubaker also distanced himself from other prominent men in the world of gymnastics who faced allegations of sexual assault or misconduct — among them Larry Nassar, a former U.S. sports doctor sentenced to 40 to 125 years in prison for sexually abusing hundreds of girls. “I just don’t want to be painted with that same brush, because I don’t have those same intentions,” Brubaker said in the police interview. The judge presiding over the case is considering whether to allow Brubaker’s interview into evidence after court heard the interviewing officer is related to the complainant. The officer, who cannot be named to protect the identity of the complainant, testified he told the prosecution about the relationship and had received approval from his superiors before embarking on the investigation. Defence lawyer Patrick Ducharme, however, suggested the officer tried to hide the connection. The officer, the lawyer said, never mentioned the relationship in his notes and the defence only learned of it three days before the trial was set to begin. “People like me like to know that the only investigating officer is related to the complainant,” Ducharme said. The officer contended he didn’t note down his relationship with the complainant because he knew Brubaker would see the notes and didn’t want the relationship to affect what the coach told police. “I wanted to get a confession without the taint of him knowing I was related by marriage,” the officer said in court. 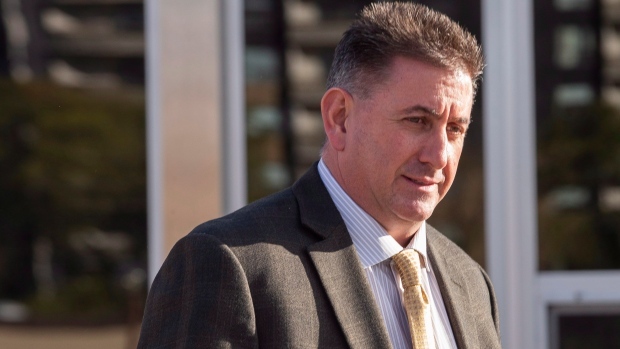 The revelation of the officer’s ties to the complainant delayed the trial by a day as Ducharme re-evaluated the evidence and considered how it would affect the case. In court, he suggested it amounted to a conflict of interest. The case has been adjourned to Dec. 13.